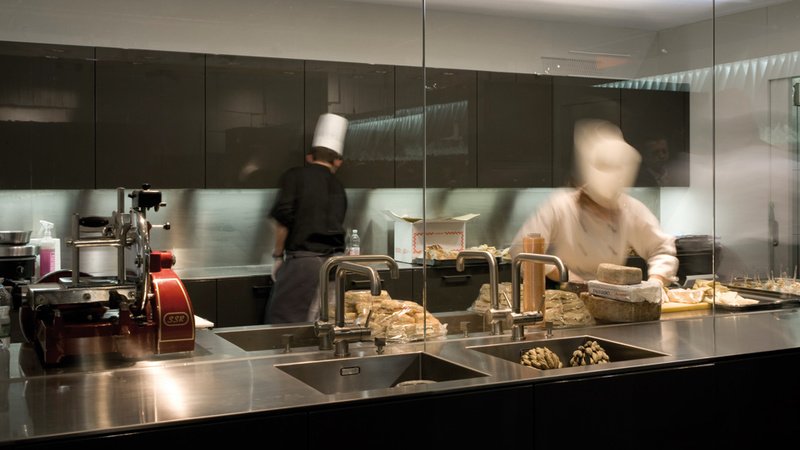 Optimum product presentation space for talks and openness were the central defaults of ALNO for the fair performance on the Eurocucina in Milan. The stand was formed as a 420 square metre stage that puts the products in the spotlight. The horizon made of flying table clothes arouses curiosity and draws visitors to the stand. ALNO’s four product groups are shown freely circulating. The staged mount in the floor and the combination of the product presentations with the functions of the fair stand make the kitchens into rooms to be experienced. 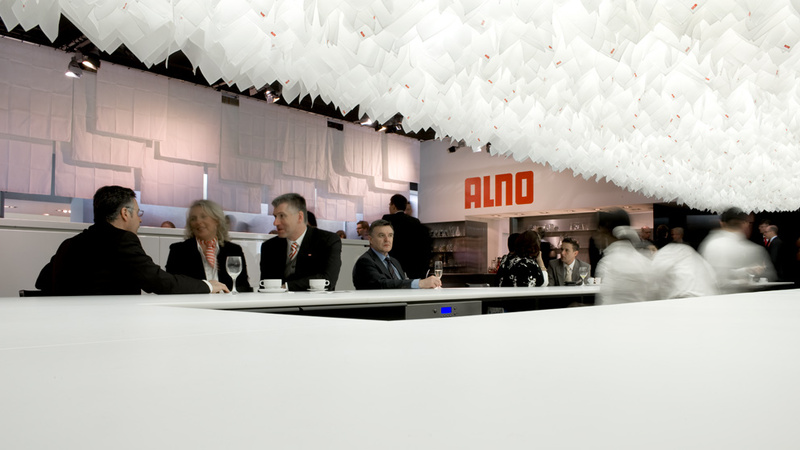 Hospitality is at the centre of the stand: beneath a lamp made of 3.000 napkins the guests are served small snacks prepared in an ALNO kitchen. The best parties always happen in the kitchen.